Astronomers have found what they believe is a second protoplanet around HD100546, a youngster star that may also host a planet under formation that is the size of Jupiter. This new find is at least times the size of Jupiter and about the equivalent distance of Saturn to our own Sun, which means the planet would not be habitable as far as we can tell. 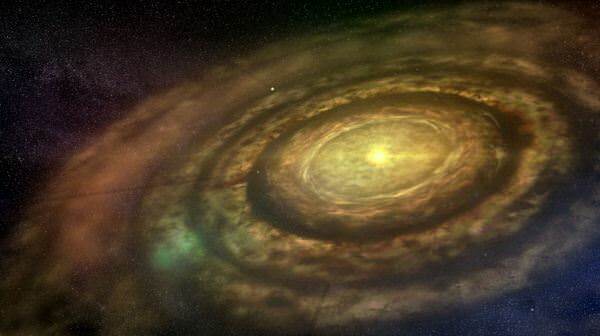 It was spotted using a way of measuring carbon monoxide emission that seems to change its velocity and position in the same way that a planet would be expected to be orbiting the star. The emission itself could be coming from a disk of gas surrounding the planet, or perhaps from the object’s tidal interactions with the gas and dust enveloping the young star, which is only 335 light-years from Earth. “This system is very close to Earth relative to other disk systems. We’re able to study it at a level of detail that you can’t do with more distant stars. This is the first system where we’ve been able to do this,” stated Sean Brittain, an associate professor of astronomy and astrophysics at Clemson University in South Carolina. Next PostNext What Would It Be Like To Fall Into A Black Hole?